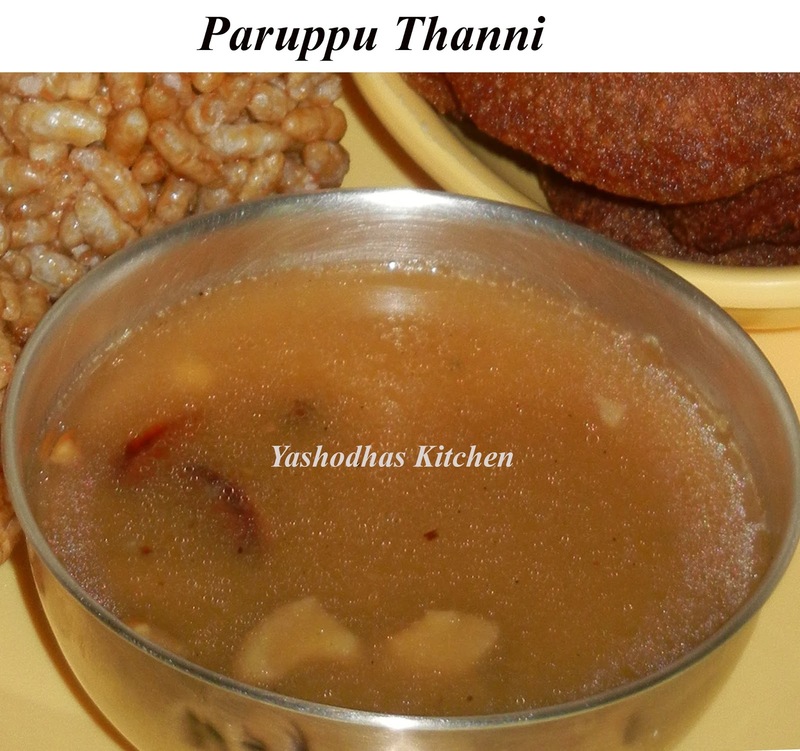 I will try to upload paruppu payasam's picture soon. I am searching that picture but yet to get. 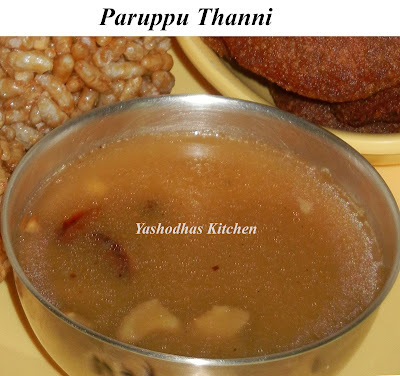 Let us see the difference between paruppu thani and paruppu payasam !!!! Fry Moong dal in a medium flame for few minutes. Don't burn it, once the aroma has come you can remove it from the flame. Pressure cook moong dal and 3/4 cup of water for 3 whitsles. Once you remove it from the pressure cooker, add remaining water according to the consistency you want. Heat ghee in a pan and fry cashews. Garnish Paruppu thanni with fried cashews and serve it to God. Follow all the steps in the same order under the heading paruppu thanni. It will be bit richer than Paruppu thanni.